Here is something that may interest some of you (if you like saving money). Those running C5/C6 front uprights and bearings know that the base and Z06 hubs are not as strong as the ZR1 hubs with their larger bearings and thicker wheel mounting flanges. 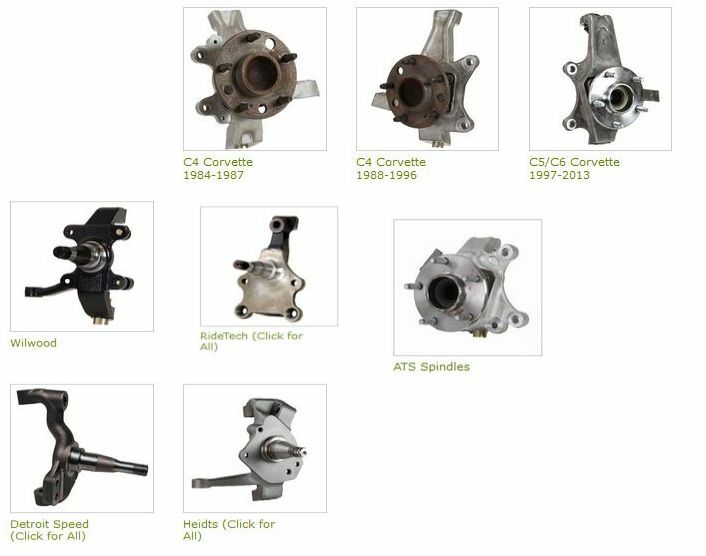 But the ZR1 hubs are pricey - $350+. I just bought a C7 hub assembly (GM 20981829) to measure. It does not have the wheel speed sensor or the splined center (front wheel only), but a splined rear hub assembly is available. the GM list price is $169.64, but it is listed cheaper at places like Rock Auto. The AC Delco number is FW412. 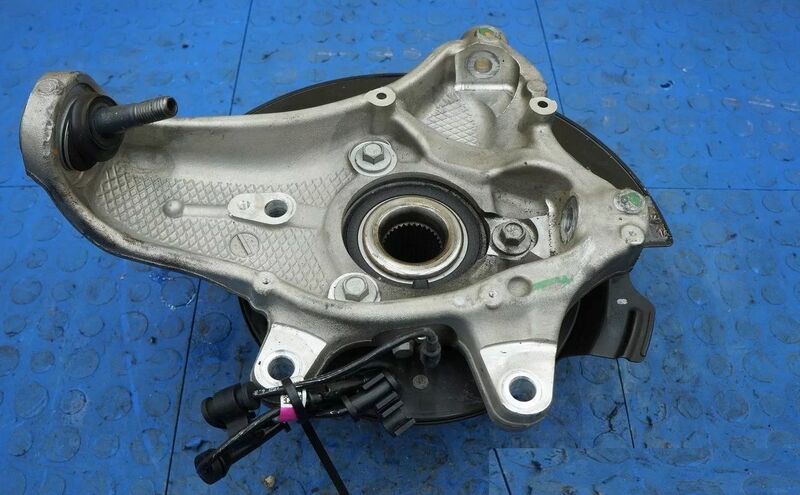 The good news is that the bearing has the same bolt pattern and inside and outside registers as the C5/C6, so it fits a C5/C6 upright, AND it has the same wheel mounting flange thickness as the ZR1 and the outer diameter of the casting at the bearing is the same as the ZR1, which is .5 inch larger than the standard C6. My conclusion is that it uses the same large bearing as the ZR1 hub. I've included a couple of pictures showing the C7 hub assembly in a ZR1 (C6) upright, a C6 Z06 hub, and a ZR1 hub in an ATS spindle (designed to use C6 bearings). Last edited by mfain; 12-18-2014 at 01:27 AM..
Touchdown - on Superbowl Sunday! I've been crawling all over the InterWeb for this -- and it was here all along. My entry was through PT - of all places. Now if I could only find/get the loads (thrust bearing) data! May your favorite team win -as long as its the Patriots! I just got off the phone with Dan @ Van Steel. He confirmed for me that GM was so impressed with the SKF Racing Bearings, they went with SKF from 2010 onward. So, Pappy's observation and analysis was spot-on. If you buy the AC Delco FW412 - it is the equivalent of the Racing Bearing! Do I infer correctly that these bearings won't work for those of us with antique C4 suspensions? These are the 3 bearing mount - not the 4 as in theC4. I was hoping that there were some C4 uprights that would fit - but they look to be too small even to modify. And you can use the dimensions to confirm C4 fit/or no. Suggest price compare both. Rock Auto is shipping free until the end of the month I recall. PS I can dimension the C7 if you want/need/like.